The clock is ticking, it will be christmas soon, but for those who are still looking for last minute gift, I will lend you a hand. 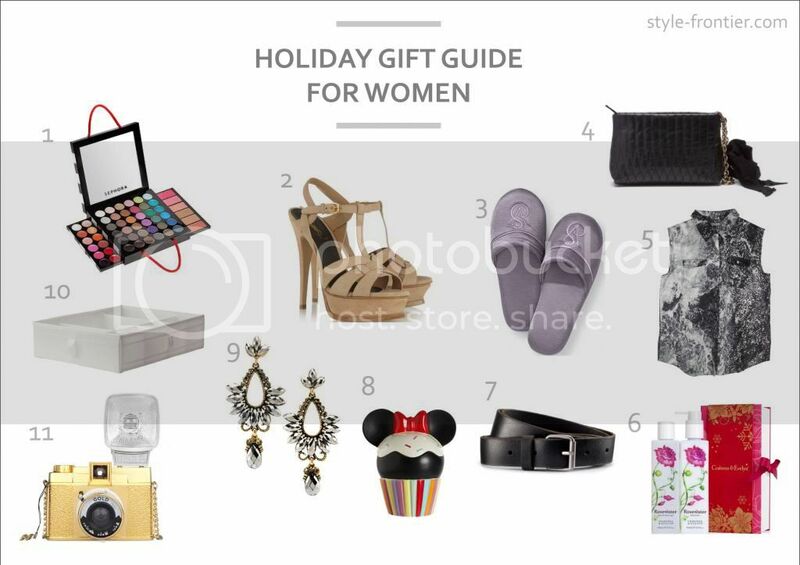 As the continuation for the gift guide on the previous post, now I want to share some gifts that will be coveted by your girl best friends, sisters, mother, or even might be useful for the guys who are looking gifts for your girlfriend. 6. Crabtree Evelyn rosewater perfect pair is an essential for smooth and healthy skin. Equipped with rosewater extract, not only it feels good when applied but also has elegant scent. $38 via Crabtree Evelyn. 10. Ikea skubb box with compartments is a perfect gift for the serial organizer. It is wonderful to be places on the shelves, drawer, or even on the table to make everything neat on its place. $8 via IKEA. 11. Diana F+ Gold edition is the newest addition to the lomography camera family. With undoubtable performance of Diana added with the gold design, this piece would be coveted by the photography enthusiast and those who are starting to do analogue photography. Remember the rule of thumb for lomography, don't think just shoot and have fun! SGD 198 via lomography.